Book a Skype session with her today! *Clairvoyant and Astro-Oracle reading, using her gift of intuition, you will receive guidance, messages, answers and inspiration. *Your Astrological Natal chart, colored and interpreted by Elizabeth. This is your unique blueprint and personal map of your life plan, purpose and patterns, your talents and challenges. *Divination tools; Sacred Sound with tuning forks, Runes Stones and crystals are used to further assist and empower you in manifesting your divine destiny. The Astro-Oracle Deck will be available soon. 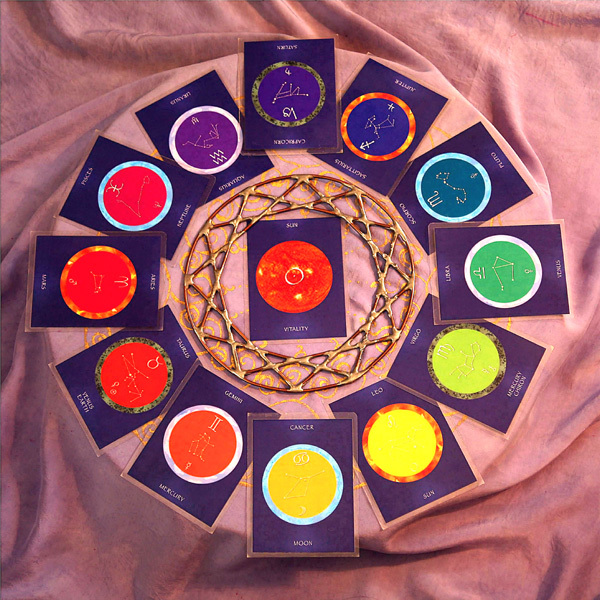 *Compatibility Readings: Synastry as well as Composite charts are used to help you understand your relationships whether they are lovers, family, friends or business partnerships. *Children’s Horoscopes understand your child’s temperament and unique qualities so you can help and encourage them in life to be creative, happy and successful. *Relocation and Astrocartography charts map locations in the world that emphasize different aspects of your life, spiritual or material. *SolarReturn charts are calculated for your birthday each year and bring further insight into the new year. *Animal Astrology: Your pets have special personalities and needs and with the aid of astrology you can better understand and communicate with your animal. For phone and in person recorded consultations. $110 - 60 minute reading. $65 - 30 minute reading. 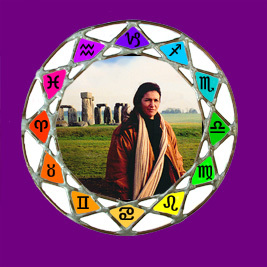 I began my studies of crystals and crystal healing in England in 1999. Since completing Melody's Crystology Certifaction course, past life regression and IET-Integrated Energy Therapy training, I came to realize these 3 healing modalities compliment one another in a beautiful three-fold way. I call this Crystal Integration. 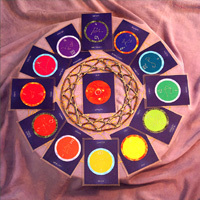 The crystals and the crystal grid set-up creates a powerful, protective and sacred space. The past life regression first assists clients in remembering, and then releasing, clearing and healing from the old beliefs and patterns held in the mind, body and emotions. The power of love and light from the angels expressed through the Integrated Energy Therapy assists clients in becoming whole, complete and free. Since this needs to be done in person please email me for more information. I hope to be able to do this long distance with the aid of astrology in the future.